These face pots are so unique and created from sealed concrete! 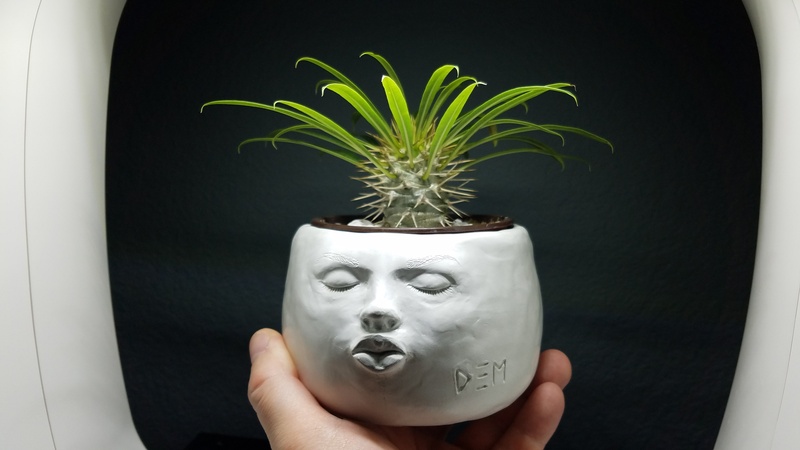 Succulents are not included and each face pot have drain hole(s) to make any succulent ecstatic!!! 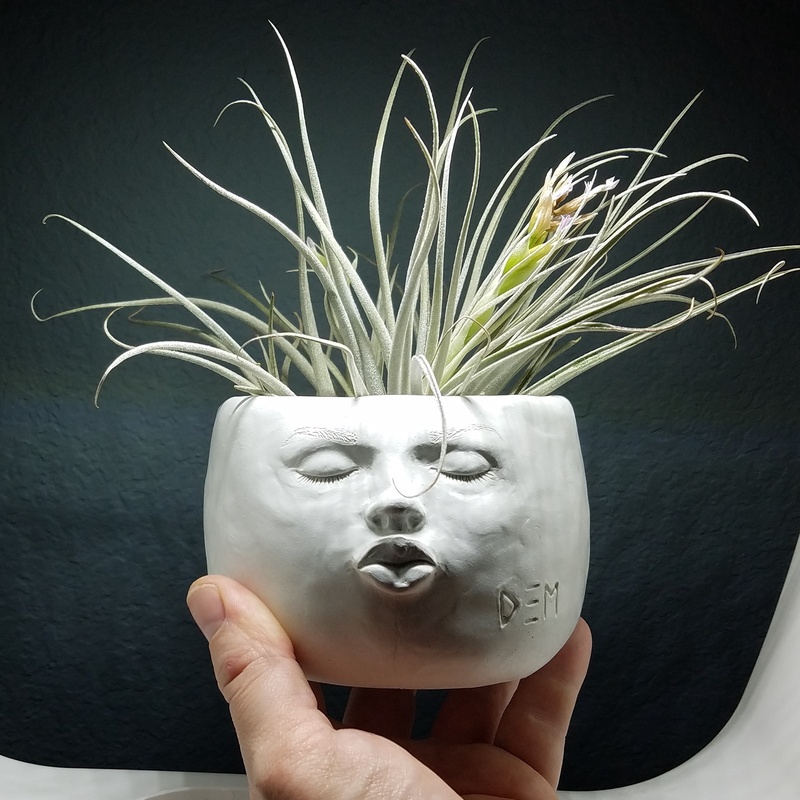 The face pots are a pearl white in color...Edward Murray is a stellar Austin Artist of the functional art! My art career started 15 years ago in Portland, Oregon where I was commissioned to do large-scale modern contemporary artwork for residential and commercial projects. After leaving Portland, I lived in several different states where I spent time experimenting with new mediums and cultivating unique techniques. Once I settled in Austin, I continued dabbling in many art forms. I am most drawn to interactive artwork and sculpture, and I will continue to create works that vary greatly in scale.